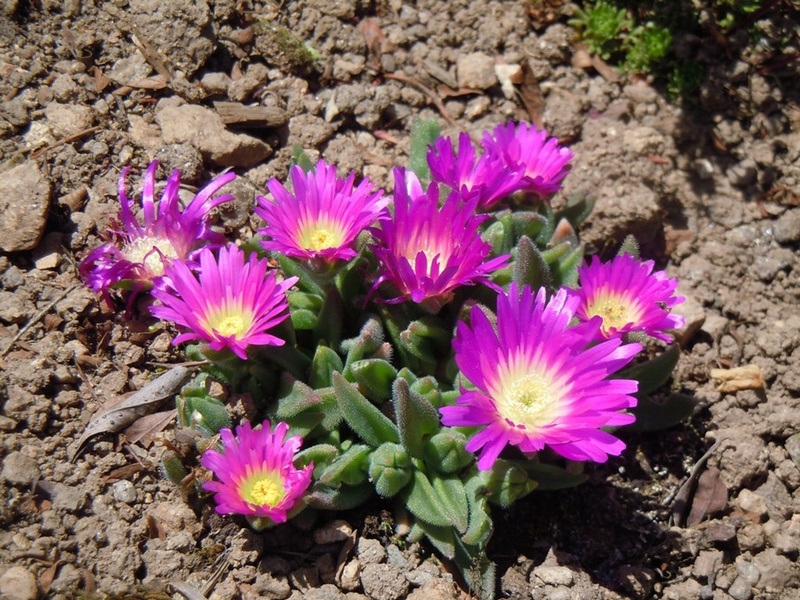 Large vivid magenta daisy flowers in Summer on flat spreading mats of succulent leaves, ht 5cm. 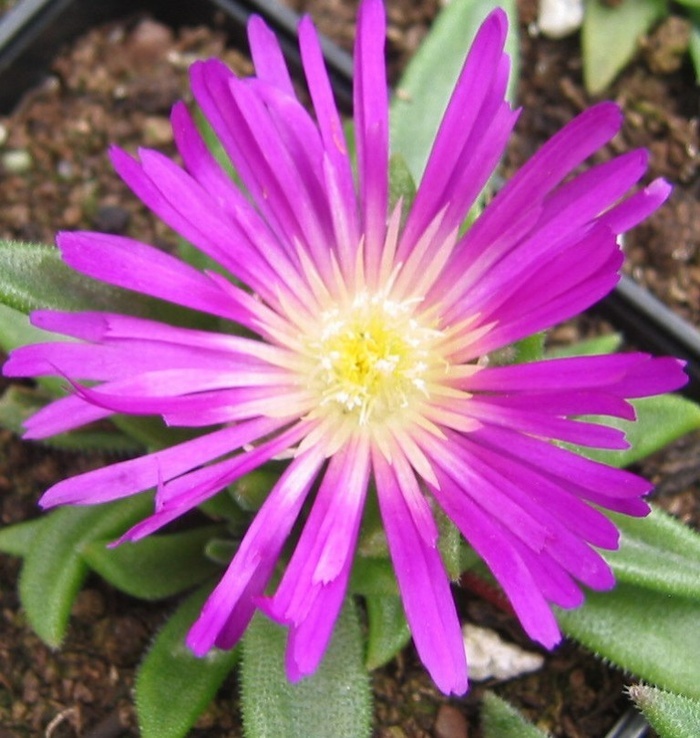 A native of South Africa, this Delosperma has survived on our nursery with temperatures down to -10C but needs protection from winter wet. 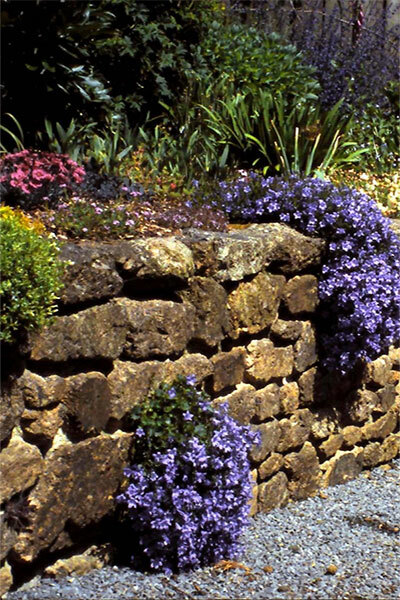 Ideal in seaside gardens. Will thrive in hot, dry areas.